Legal Grey Area | Kaometry rec. Sylnox Some of Hitori Tori's best work, plus remixes by three of the best breakcore artists out there. A must-have for fans of the genre. Bobby Matheus Well, what can I say about this EP ? The fact it's just simply one of the best releases this year! 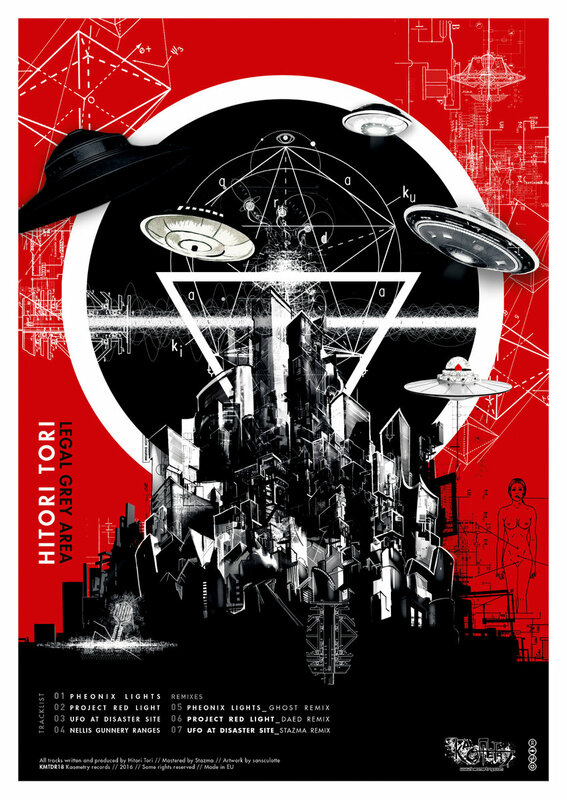 Hitori back with dark and ferocious glitch acid with core! The remixes are so epic too! :) so really 4 big names in electronic music today! Big up to these guys! Favorite track: Nellis Gunnery Ranges. Niccolo Brown Let's face it, in the wrong hands (and I'm afraid that means most of them, the exception being Venetian Snares of course) breakcore can appear cartoonish and facile much like gabber did in early '90s Rotterdam where all semblance of musicality was bulldozed aside in favour of extreme speed, aggression and vocal obscenity. In mid-January this year, Kaometry Records, based both in Berlin and Valencia, released "Mechanic Paradox" a mini-album by M.E.R.S. which is not only the best breakcore record I have ever heard but it also redefined the genre by foregrounding the superbly composed musical element of each track rather than allowing the avalanche of warp speed breaks to be the sole centre of attention. It was nothing short of a breakcore symphony and since then I've been waiting with no patience whatsoever for their next record to drop. First came Synthamesk's "Regression" in early April, an excellent record in its own right but a tad unfocused in places which was frustrating given the ideas this producer undoubtedly has in spades. 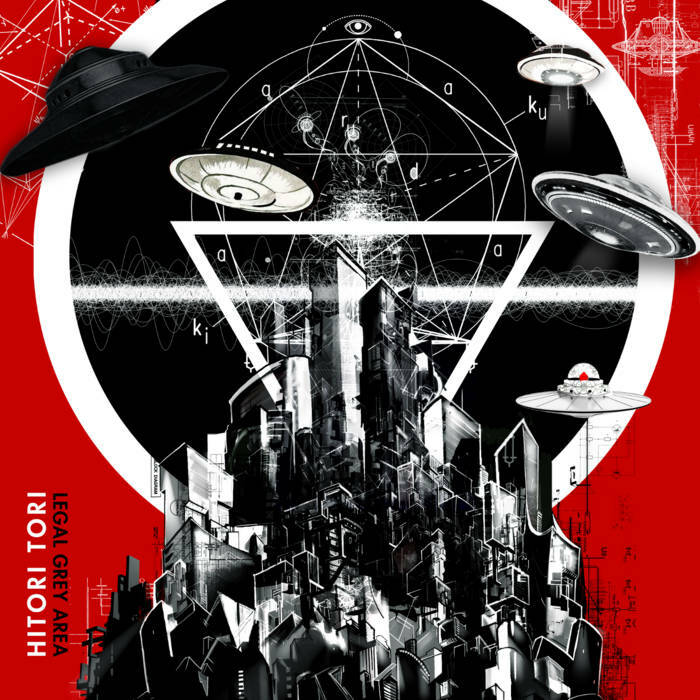 Worry ye not though: Hitori Tori's just released "Legal Grey Area" is just as astonishing as the M.E.R.S. record and, but for the odd minor quibble I have about an over-sufficiency of vocal samples, might even have surpassed it. Musically, "Legal Grey Area" is a deranged yet melodic swirl of rainbow-hued synths that duck and dive amidst a tsunami of breaks that occasionally accelerate to such improbable speeds, your ears literally can't believe what they're hearing. The album's sci-fi theme is reinforced by a battery of samples from 1950s B-movies, crackpot ufologists and other assorted nutcase conspiracy theorists but the music is so futuristic anyway, 75% of them are extraneous. 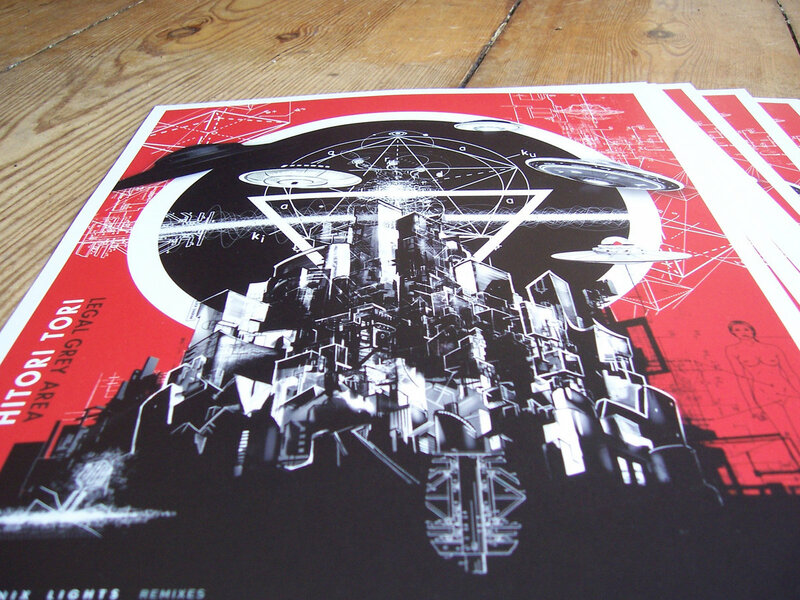 As I said though, that's a minor quibble and should in no way deter you from buying this extraordinary record. I don't know where Kaometry finds these producers but I hope they carry on searching for more, preferably with fanatical zeal. Favorite track: Nellis Gunnery Ranges. 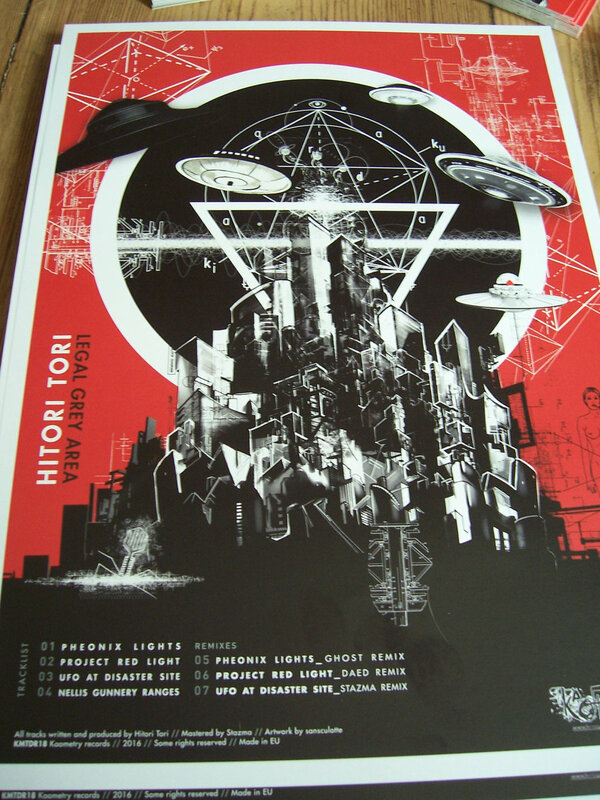 “Legal Grey Area” sees Canadian Renoise extraodinaire Hitori Tori's unidentified flying fingers bash out furious lines of hexadecimal mayhem in his first outing with Kaometry. The initial beat abruptly flings the airlock door wide open into the void of synth space. 70's sci-fi pads hang ominously over the horizon. Imminently an unknown craft descends, the atmosphere filling with maniac arpeggios while rapid-fire fragments of hip-hop sparkle energetically in the air. Choppy breakbeat rhythms form the endo-skeleton of the craft, propelling the music forward but rarely exposing their full pointed shape above the turgid biomechanical muscle of the synth parts. Despite the somewhat chaotic movement of the programming, each of the four tracks feel innately purposeful thanks to their strong melodic vision. And while mysterious, the tone is assertively colourful rather than comically dark. An unholy trinity of remixes from Ghost, Daed and Stazma The Junglechrist complete the release. Each do service to the original themes but diversify and deepen the colour palette whilst pushing the drum work to brutal extremes. All tracks written, and produced by Hitori Tori. 2016. Made in the EU.